From the widespread support for Donald Trump to the growth of far right parties in Western Europe to the recent victory of the Svoboda party in the municipal election in the city of Ivano-Frankivs, in Ukraine, the far right is on the offensive. It’s not that all of capitalism is about to be engulfed in a wave of xenophobia, racism and oppression, but it is on the increase. Nowhere are these forces more clear than in the case of the Islamic State, an outright fascist force. That’s why it’s important to understand how and why they arose. Abdel Bari Atwan has written a very useful book – “Islamic State, the Digital Caliphate” – that goes a long way to explaining that, although it does have a few major gaps. What follows is a summary of that book, along with some analysis of this writer. Unless otherwise stated, the events and facts recounted are simply those from Aswan. Throughout the book, Atwan explains the extremely successful use the Islamic State makes of the internet, especially of social media. Truly, they have adapted to this new era of communication. The algorithms of social media also encourage this, since what a person shows an interest in is what the social media tends to display. This helps lead them into whatever small world or narrow perspective they may be developing. But along side this, the Islamic State successfully uses sound effects and visuals that appeal to today’s younger generation. prison for political prisoners. Camp Bucca performed a function similar to how the US prison system helps link up and train “career criminals” here in the US: It brought together hundreds of opponents of the US occupation, many of them former officials in Saddam Hussein’s military. Already before the invasion, Hussein was starting to try to build a base by calling on Islamic nationalism, and those who followed him continued this. 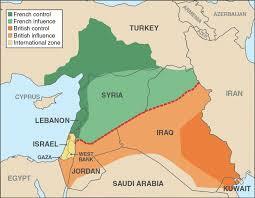 As Hussein’s base was among a layer of the minority (in Iraq) Sunni Moslems, and as the administration that followed the US invasion based itself on the Shia, it was the Sunni who mainly opposed the US invasion. As such, there was also a tendency towards increased Sunni-Shia conflict. The (mainly Sunni) prisoners inside Camp Bucca followed down that road. Meanwhile, thousands of “foreign fighters”, some of them battle hardened from the war in Afghanistan, were coming to Iraq to fight the US invaders. al Qaeda internationally. However, they made little headway until 2011. 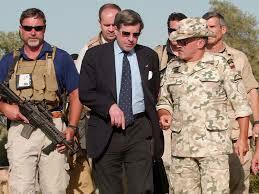 In part, that was due to the role of the Sunni-based militia, the “Sons of Iraq”, which the US forces organized. However, the US government’s man, Iraqi president Nouri al Maliki, was increasingly basing himself on Shia sectarianism and in 2011 he disbanded the Sons of Iraq, leaving thousands of these troops penniless and out on the street. 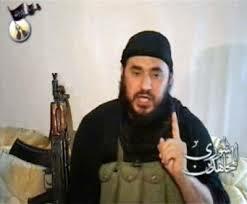 Many of them turned to Zarqawi and his forces. 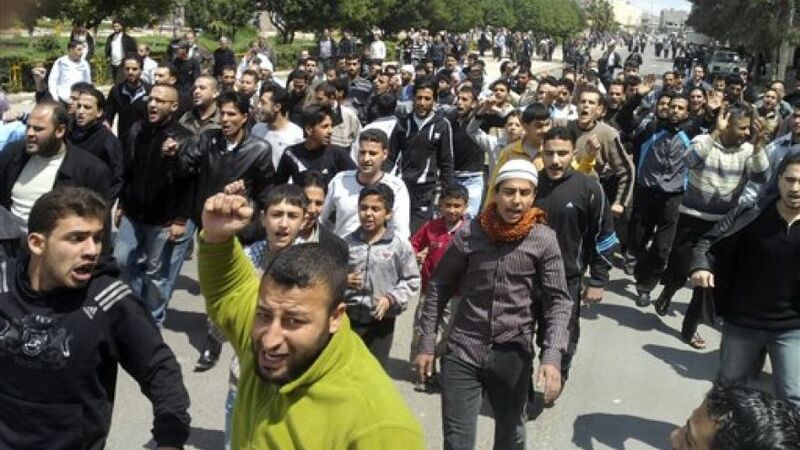 Defeated in Egypt, the Arab Spring turned into a proxy war in Syria. In 2013, Abu Bakr led a small force of his followers into Syria, where they initially joined al Nusra, the al Qaeda front group. The most aggressive and brutal of all the Islamic forces fighting in Syria, and partially funded by a layer of the cleric/capitalist class in Kuwait (according to the Brookings Institute), they became the largest and most powerful of the Islamic fighting groups in Syria, and in that same year they split away from al Qaeda and renamed themselves the Islamic State in Iraq and Syria (ISIS – vs. previous Islamic State in Iraq or ISI). Foreign fighters from throughout the Islamic world played a key role in the rise of ISIS, and Atwan connects their role with the role of the Saudi ruling class. When the current regime came to power in Iran (1979), they sought to place themselves as the leaders of the entire Muslim world. The Saudi ruling class, which rivaled their Iranian counter parts, sought to counter this by spreading their brand of Islam throughout the world. They spent millions building madrassas, Islamic schools, from Pakistan to Malaysia, the Arab world, etc. Millions of poor parents, unable to feed no less educate their sons, sent them to these madrassas, where they were indoctrinated in this extreme fundamentalist version of Islam. Many of these youth became the jihadists in Afghanistan (some 20,000 according to Atwan) who fought the Soviet invasion. After that, thousands traveled elsewhere, including to Bosnia. By 2012, there were more such foreign fighters in Syria than had been in Afghanistan. ISIS used extreme brutality both as a propaganda tool to recruit the foreign fighters and as a means of terrorizing any would-be opponents. In 2014 it had expanded from a base in Syria across the border into the area of Mosul in Iraq and in July of that year it declared itself as the rebirth of the old Islamic Caliphate of the seventh century, with Abu Bakr as the Caliph. This, in itself, set off a further wave of foreign fighters to their cause, with some 6,000 flooding in in a two week period – some 30,000 overall. The US government, which had encouraged Islamic fundamentalism when it was fighting the Soviet Union in Afghanistan, now opposed it. 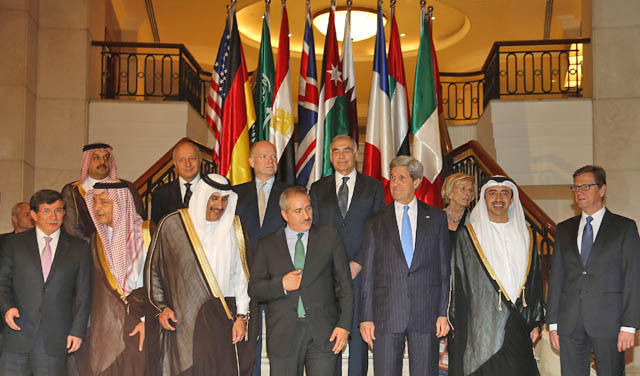 They helped a organize group, the Syrian National Council, and through it the “Friends Of Syria (FOS)”. Initially, the FOS was composed of the governments of 114 nations, but each capitalist regime had its own interests, and the FOS rapidly dwindled to just 11 nations. The Saudi regime, for example, split away because they claimed the FOS wasn’t doing enough to stop Assad from killing his own people. This from a government that executes one person every other day! Symptomatic of the inherent nature of the FOS was that its titular leader actually supported the Israeli regime! This inability of the major capitalist powers to squash the Islamic State has led to its further strengthening, including in the realm of finances. According to Atwan, their control over oil regions in Syria and Iraq allows them to sell some 80,000 barrels of oil per day, bringing in some $2-3 million per day in revenue. The majority of this oil is sold to buyers in Turkey, Jordan and Iran. (Other sources claim that IS is also a major supplier of oil to the Assad regime!) They also receive some $8 million per month through what Atwan calls “extortion” (and they probably call taxes) of businesses in the Mosul area. They also do a profitable business selling ancient artifacts, with one bringing a price of $57 million on the market in London. Kidnapping also brought in $20 million in 2014. Another source of income is the slave trade of women and children, for instance Yazidi women. The Islamic State apparently has all the attributes of a state, including the fact that according to Atwan they now have their own currency. There is one major attribute they lack, however: Their own air force, and that is important. As of this writing, they seem to be having some military reverses in the Ramadi area of Iraq, exactly because of their lack of air power. Even if they are driven out of this area, though, they are far from through. According to Atwan, they have support in Lebanon and Turkey, and one poll showed that 92% of Saudis support them. They have a “large number of sleeper cells” in Jordan. Boko Haram in Nigeria is now in their camp as is AQIM, which operates in Algeria, Mauritania, Mali, chad and Niger and has links with Boko Haram. AQAP in Yemen is linked with them, as are groups in Pakistan, Chechnya and the “Stans” (Uzbekistan, etc.) Another report claims that thousands of Uighurs (from Western China) are now fighting in Syria, presumably under the IS banner. What really distinguishes the IS is their dedication to breaking apart the entire arrangement of nation states in this region of the world, an arrangement that has held sway for nearly 100 years. We are referring to the Sykes-Picot Accord. This was the accord of French and British imperialism wherein they divided up most of the former Ottoman Empire after they (Turkey) lost in WW I. 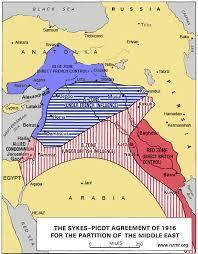 It was under this accord that many of the national boundaries were drawn up in West Asia and Northern Africa. British and French imperialists carved up this region to suit themselves. Atwan recounts how foreign fighters are coming into the region from predominantly Muslim areas that were formerly under the Soviet Union and related states. This includes the “Stans” as well as Bosnia and Chechnya. (In fact, one of IS’s battle leaders in Syria is a Chechen.) But what he misses is the overall effect of the return to capitalism in those countries. On the one hand, this really unleashed reactionary nationalist forces, including those of religious fundamentalism, giving rise to a huge number of foreign fighters who swelled the ranks of the IS. More than that, though, the return to capitalism in those regions of the world was a set back for the entire global working class. It enormously boosted the propaganda that there was no alternative to the rule of the capitalist class, and thereby helped confuse and demoralize the workers’ movement. This, in itself, helped open the door to all sorts of reactionary forces within society. 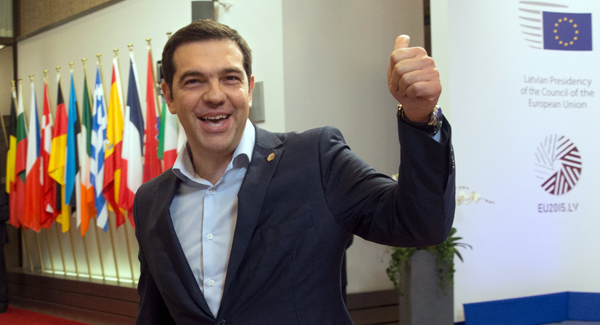 Greek Prime Minister Alexis Tsipras. His failure to mobilize the working class had global implications. government. Tsipras and Co., however, while they conducted a propaganda campaign, failed to take the one key step: They failed to mobilize the Greek workers and use that as a spring-board to mobilize the working class of the rest of Europe. As a result, they capitulated to the demands of European capital. Just imagine if they had really mobilized the working class throughout the region. Even had they failed to defeat the capitalists, they would have set an example for the entire world’s working class. Inevitably, workers in Syria and Iraq would have been affected, especially since there are so many immigrants from that part of the world in Greece. The former petty criminal, Zarqawi, who turned to extreme islamic fundamentalism – fascism, in fact – is an example of the set back of the workers movement. He is not alone, as it has been revealed that many of those who committed the recent atrocities in Paris were also former petty criminals. In the 1970s, there were a whole series of petty criminals in the US – George Jackson, Malcolm X, hundreds of others – who turned to revolution. 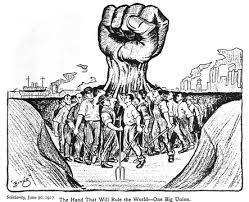 Hopefully, in the future, as a mass movement of the working class arises, we will see a return to those traditions.